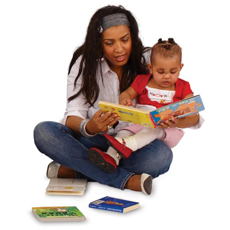 Home-Start Haringey Hackney and Waltham Forest! Please click here to make a donation via our partner, Charity Choice. All donations can make a difference. Thank you. We are very grateful to our existing volunteers who do such a wonderful job. They are essential to Home-Start Haringey Hackney and Waltham Forest, but we need to train over 40 new volunteers each year to ensure that we can support all the families who are referred. Please do consider joining us. We ask that volunteers have experience of parenting, be non judgemental and understand the need for confidentiality. You would also need to have a caring attitude, as well as being prepared to provide 2 references, and undergo an enhanced DBS check. Please be prepared to commit to Home-Start for a year after your initial training. As a Home-Start volunteer you would be carefully matched with a family, after which you can expect to support that family in their home for 3-4 hours a week. How your time is spent with the family would depend on their needs. One family might need friendship and someone to talk to, whilst another might need more practical support such as accessing local services, help with budgeting, helping out with a shopping trip, advising on children's behaviour or attending meetings and giving them moral support. All of our volunteers take part in our initial preparation programme which takes place in term time, one day a week over a 10-week period, after which you would be encouraged to join our regular support groups. Our preparation course is accredited by the Open College Network. This means that you would be able to gain credits through the formal recognition of your Home-Start training. We also offer Strengthening Families Strengthening Communities parenting education training to our volunteers. Our staff would support you during your training, and as you support a family. Also we can offer help and advice if, after volunteering with us, you wish either to continue your studies or apply for paid employment elsewhere. 'Information for Volunteers' leaflet here. Please download the volunteer application form here and either return it to us by post or email. Contact details are on the form itself. Once we receive your application form we will contact you to arrange an interview, and if this is successful you will be invited to join the next preparation course. Please click on the link here to be taken to our News, Events and Diary Dates page where you will find the details of the next course. Home-Start Haringey Hackney and Waltham Forest Ltd is a Charitable Company Limited by Guarantee Registered in England and Wales.